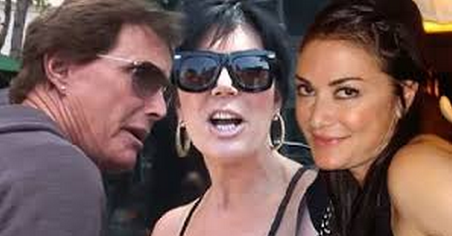 Kris Jenner devastated after estranged husband Bruce Jenner starts dating her best friend of 20 years. While Bruce and Kris Jenner announced their separation almost a year ago and both filed for divorce just last month, officially ending their 22-year marriage, Kris, 58, admitted the thought of dating again was "daunting" to her. However, a source reveals to PEOPLE exclusively that Bruce, 64, has already begun a new romance – and it's with Kris's longtime friend and former assistant, Ronda Kamihira. "Kris is devastated," says the source. "This was her former assistant and best friend of 20 years." Well, what did you think would happen? This is exactly what she has raised her band of harlots to do, why would you expect it not to be done to you. Is this story to throw us off that he REALLY wants to be a chick?